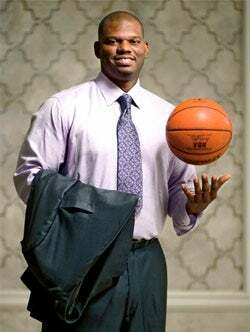 Jamal “Monster Mash” Mashburn (university of Kentucky) is a retired American professional basketball player who earned $75 million over his NBA career. Mashburn was a prolific scorer in his 12 seasons in the league, with a career scoring average of 19.1 points per game. Since retiring from basketball, Mashburn has worked for ESPN as an analyst and launched a number of successful business ventures including 34 Outback Steakhouse franchises, 37 Papa John’s franchises, and two car dealerships across the state of Kentucky; one Toyota, one Lexus dealership and a real estate group in Kentucky! This is what #GWOP is about, starting business, creating jobs and making people lives bettter. Allen Iverson earned over $200 million in his NBA career and is broke and in debt. Antoine Walker (university of Kentucky) earned over $110 million in his 12 year NBA career and is broke and in debt. Moral of the story: Don’t gamble. Save your money and start a business (not a record label). Be a entrepreneur.